Zombie Jerky « Gluttoner: You gonna eat that? Eat or be eaten. 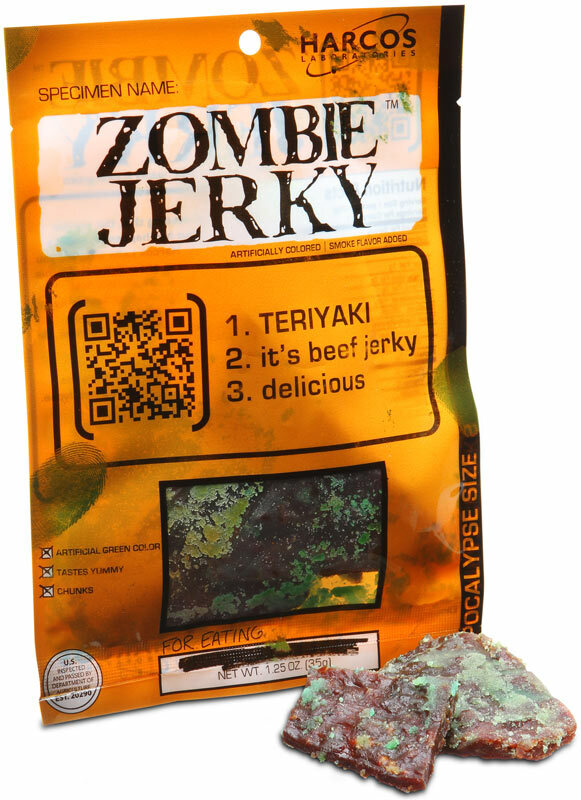 Teriyaki flavored Zombie Jerky is actually beef jerky with green bits in it, packaged to look like zombie flesh. Or so they would like you to believe. Dead cow or undead redead zombies, either way these snacks are packing 15g of protein per serving, enough to power you through your next zombie hunting expedition.